London is the UK’s academic hub with numerous world renowned universities; including University College London and Imperial College London, both ranking in the top 20 internationally. This means tons of student discounts, and various other perks just for having a student ID. With over 1000 museums and galleries (many being free), you will receive a full multicultural experience. For music lovers, make sure to visit Camden Town, where you can see multiple up and coming bands every night. You may be thinking that it’ll be tough to get around in a large city like London, but with London’s underground subway system, A.K.A. “The Tube”, getting anywhere in the city is a piece of cake. 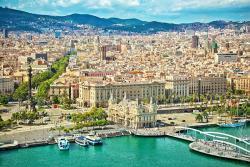 By studying abroad in Barcelona, you’ll get some of the best perks found in Europe. Whatever time of year you decide to take your trip in, you’ll be able to spend time outside in beautiful year-round weather, and go to the beach whenever you like! Even if you don’t know Spanish very well, have no fear, most people in Barcelona speak English as well as they do Spanish or Catalan. For night-life lovers, Barcelona’s reputation does not disappoint. The city is filled with endless bars and clubs open till dawn. You can also take advantage of the nightly promotions and student deals to save some cash! Going to Rome to study abroad will allow you to immerse yourself in Europe’s most historically and architecturally impressive city. Visit the Colosseum, the Pantheon, or the Trevi Fountain to get a taste of ancient Greek and Roman culture. For your education, Italy is home to several of the world’s oldest universities. Don’t worry about not being able to speak Italian, as most of Rome’s schools have course offerings in both English and the city’s native language. Of course, I can’t forget to mention the food. 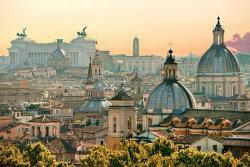 Rome is considered to be a major gastronomical destination. Try dishes with ingredients grown locally in Campagna, including fresh Gnocchi, Spaghetti alla Carbonara, or Nonna Betta, the roman Artichoke. 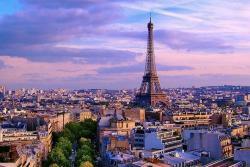 Paris is currently ranked at number 2 on the list of top cities for students to study abroad in. In terms of tuition costs, its university programs are incredibly affordable compared to those in the U.S. and U.K., especially when you consider the plethora of scholarships available for international students. French history is everywhere; take a visit to the Palace of Versailles, or the Musee Du Louvre, home to world-famous art, sculpture, and artefacts. Want to learn how to speak French? You’re in the right place. Many study abroad programs offer French-language courses and immersion options. Obviously you’ll get a fair amount of practice just from interacting with French citizens and shopkeepers on the streets. Since Brexit, Berlin has taken the title of Start-up Capital of Europe, making it an ideal spot for those interested in entrepreneurship, technology, networking, and studying abroad. Especially if you’re interested in interning abroad, large companies like Nike and Apple have placed their European Headquarters in Berlin, making the city a great place to start a career in technology or business. For those interested in History, Berlin is an incredibly significant city. 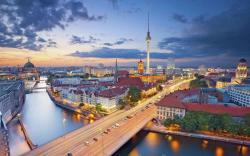 Visit sites such as the Holocaust museum, East Side Gallery, or the Reichstag Building. Berlin’s location in the middle of Eastern and Western Europe makes it the perfect place to Travel from, with round trip flights to nearly any destination in Europe for less than 100 Euros. 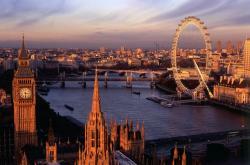 So you’ve decided where you’re going to study abroad, now it’s time to find a program. Many home universities offer joint-programs in other countries so you can easily receive credit for courses taken at your abroad school. You should also look into financial aid opportunities, which can cut costs drastically. Studying abroad will add extra flare to your resume, so why not make the most of your time as a young adult with little responsibilities, and study abroad!